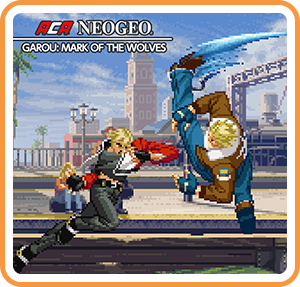 If you thought you'd seen the last of the incredible Garou: Mark of The Wolves series, you were sorely mistaken. Join classic brawlers and fresh finds (there are 11 new additions in all) for the fighting experience of the decade. The game's three unique modes of play include Offensive, Defensive, and Tactical, and there are plenty of Super Moves and Hidden Abilities to unlock. The realm of 2D fighting has rarely been this exciting, and it gets even more addicting when you play against a friend. Where can I buy ACA NEOGEO GAROU: MARK OF THE WOLVES physical/digital?